There is a movement unfolding around the world to bring forth the healing of the feminine essence within all of life. In alignment with this, The Rite of the Womb was born from the female shamans of the Shipibo Nation deep in the Amazon Jungle. This Rite was given as an energetic transmission with the intention of healing all the wounds of the womb by releasing the suffering, fear, and pain that has been carried from womb to womb, generation after generation. Through this beautiful ritual, women and men are invited to initiate deep healing within themselves and within their ancestral lines. 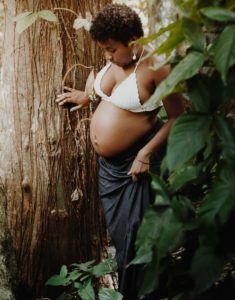 The Rite of the Womb initiation is offered as a part of a half or full day workshop that prepares participants to receive the healing energy from the Amazon. Sharing cultural and personal stories, honoring the Divine Feminine in all her forms, celebrating and praying for family and ancestors, engaging in creative play, and receiving the blessing of floral waters all call forth the longing of the feminine within each person, opening the space for the powerful attunement to the Rite’s healing energies. As participants honor themselves, their mothers and grandmothers, their daughters and granddaughters, and their ancestors, they also engage in a conscious process of releasing old stories and wounds that limit their evolution. Those who receive this transmission will enter into an accelerated time of profound healing, cultivating space for greater sensitivity, creativity, and joy. In addition, all women who are carriers of the full Munay-Ki Rites may pass this Rite along to others. 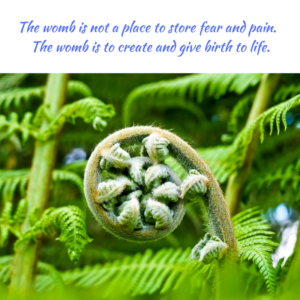 As the Rite of the Womb is passed from one person to another, it transmits an energetic force into the womb of the receiver, with the intention of initiating the healing of fear, pain, sorrow, grief, shame, guilt, and all other burdens that women have carried from their life experiences, cultures, and ancestry. As these heavy energies are cleared, the Rite empowers women to reclaim their place in the world as wise leaders, teachers, and healers. In full understanding that healing the feminine requires the healing of the masculine as well, the Rite is also shared with men who are called to support healing and balance in the world.